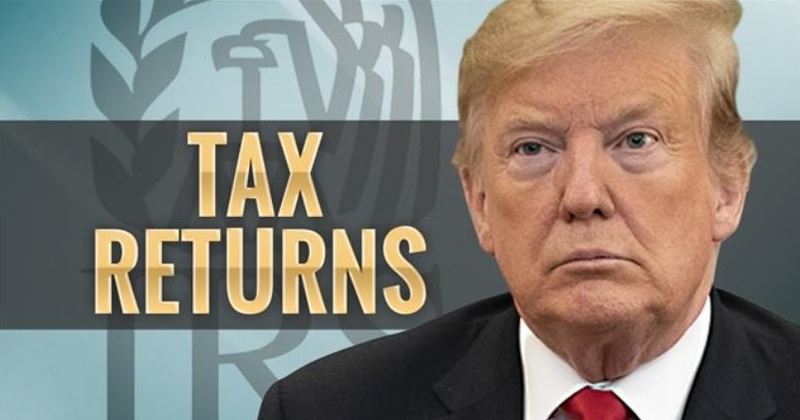 Tensions are mounting in the fight over President Trump’s tax returns, as the deadline for when Democrats said the IRS must provide them to Congress approaches. The escalating fight between Trump and Democrats puts pressure on two key administration officials who will testify on Capitol Hill on Tuesday: Treasury Secretary Steven Mnuchin and IRS Commissioner Charles Rettig. Trump’s surrogates are publicly criticizing Democrats’ request for the returns, with acting White House chief of staff Mick Mulvaney saying on Sunday that Democrats will “never” obtain the documents. Democrats are pushing back on Republicans’ criticisms of the request, saying the law is on their side. “I think that the tax code will speak for itself,” Rep. Bill Pascrell (D-N.J.) said on Monday. House Ways and Means Committee Chairman Richard Neal (D-Mass.) last week sent a letter to the IRS requesting six years of Trump’s personal and business returns. He asked the IRS to provide the documents by Wednesday. Neal made the request under Section 6103 of the tax code, which states that Treasury “shall furnish” tax returns upon request from the chairmen of Congress’s tax committees, as long as the committees review the documents in a closed session. The request had been eagerly awaited by Democrats, who have long wanted to examine the president’s tax returns to see if he has any financial conflicts of interest. It also was certain to receive pushback from Trump, who is the first president in decades not to voluntarily release his tax returns, citing an IRS audit. In recent days, Trump has made a series of comments saying he doesn’t want to provide Democrats with his tax returns and efforts to push back against the request have intensified. A lawyer retained by Trump to represent him in the matter, William Consovoy, sent a letter to the Treasury Department on Friday arguing that Neal can’t legally request the president’s tax returns. He urged the IRS not to release the returns until it has received an opinion from the Justice Department’s office of legal counsel. Consovoy argued that Neal doesn’t have a legitimate legislative purpose for the request, calling it “a transparent effort by one political party to harass an official from the other party because they dislike his politics and speech.” He also said it’s inappropriate for Neal to request information pertaining to an ongoing IRS audit, calling audits “trial-like adjudications” that shouldn’t be subject to political interference. Additionally, Mulvaney and Trump lawyer Jay Sekulow blasted Democrats for the request on Sunday. White House spokesman Hogan Gidley on Monday said on Fox News that he agreed with Mulvaney. “It’s an old talking point, it’s never going to work,” he said, referring to Democrats’ strategy. It’s unclear how successful the comments from Trump’s allies will be from a legal standpoint, but they could be helpful to the president politically. Doug Heye, a former Republican National Committee spokesman, said Trump could see the pushback as a way to keep his base happy because it shows that he’s fighting Democrats. “The fight is as important as what the cause is in some cases,” he said. Democrats and supporters of their effort say the arguments Trump’s team is making against the request lack merit. They argue that Neal has provided a legitimate legislative purpose, with his letter mentioning the Ways and Means Committee’s interest in legislative proposals and oversight relating to how the IRS audits presidents. They also said the Supreme Court has rejected the idea that an audit is similar to a judicial proceeding. That ruling “makes sense, because audits lack the traditional features of a trial (multiple parties arguing adversarily in front of an adjudicator, a right to cross-examine witnesses, and so on),” University of Chicago assistant law professor Daniel Hemel said in an essay on Medium. Additionally, Democrats take issue with the idea that they shouldn’t receive Trump’s tax returns because voters elected Trump in 2016 even though he didn’t release his tax filings. They noted that Democrats won control of the House in 2018 — a more recent election. Democrats are adding to the ways they are trying to obtain Trump’s tax returns. A New York state senator on Monday introduced legislation to give the chairmen of Congress’s tax committees the authority to request state tax returns from the New York State Department of Taxation and Finance, so long as the request has a legitimate legislative purpose and the congressional committee has requested related federal tax information from the Treasury Department. House Judiciary Committee Chairman Jerrold Nadler (D-N.Y.) said in a statement that he backs the bill. “This legislation would make the work of a federal committee a little easier, if confronted with an inability to receive the federal tax return, we can turn to New York State,” he said. With Neal’s deadline for the IRS to provide the returns coming up soon, all eyes will be on Mnuchin and Rettig as they testify before various committees this week. Neither Mnuchin nor Rettig has commented on Neal’s request since it was made. The hearings were called for reasons other than to talk about the tax returns issue, and Mnuchin and Rettig’s written statements for separate House Appropriations subcommittee hearings Tuesday do not mention the topic. But lawmakers are likely to bring it up. Democrats said they want the IRS to be free of political interference in responding to their request. “The president’s lawyer is not going to decide this. The president is not going to decide this. The law will decide this, and the IRS better be objective about our request,” Pascrell said.